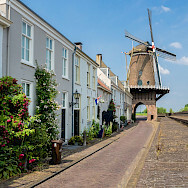 This is a World War II-themed bike tour in Holland designed by Tripsite to help you understand more of the country we hold dear. In the West, we see history from one perspective, our own. 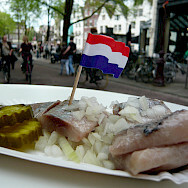 In Europe, and specifically for this tour, in Holland, there is a different lens one must look through. 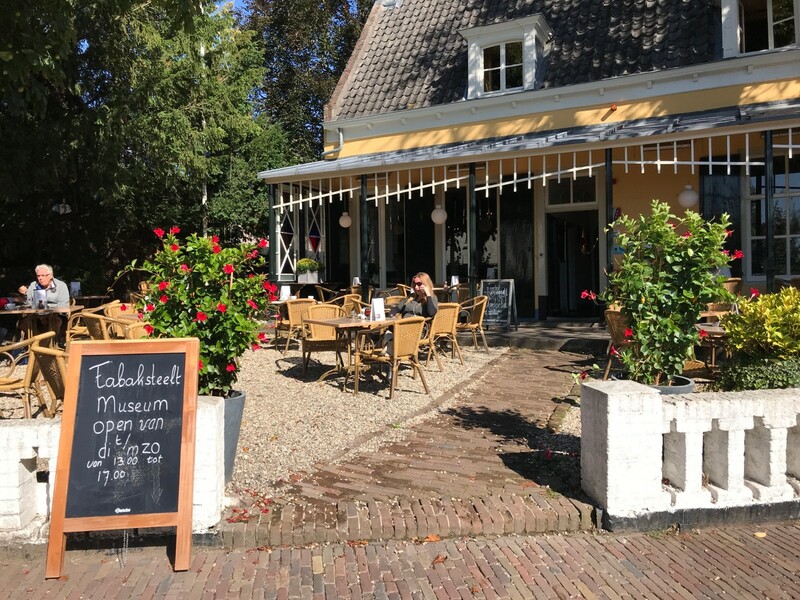 The tour begins near the area where the Germans first invaded Holland and will finish in the area of Operation Market Garden. 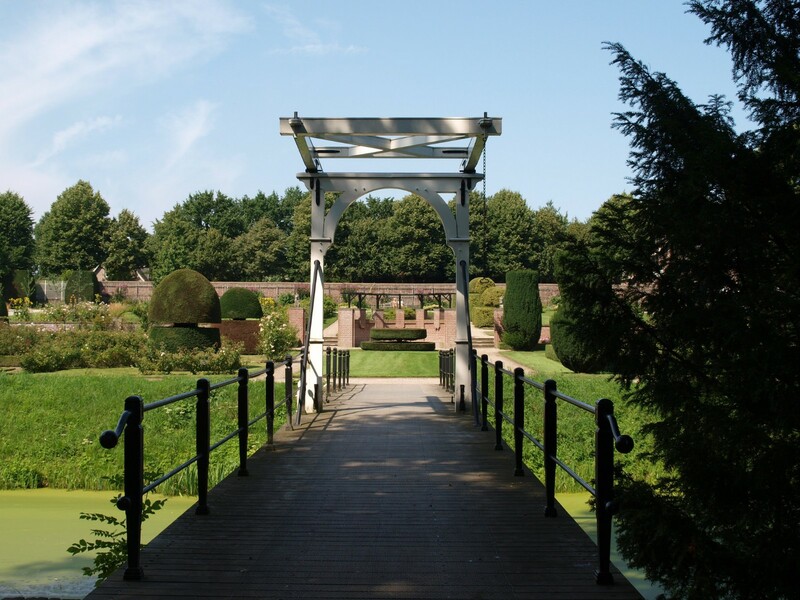 Though the German occupation would last another year, Operation Market Garden was the beginning of the long end. 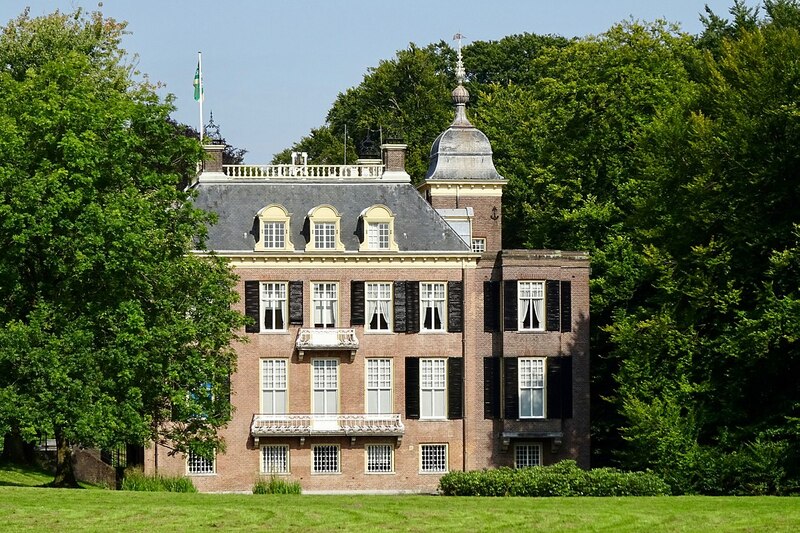 Accompanied by your tour guide, a native of Holland and a specialist in WW II history, you will hear about Holland's story through this dark time. 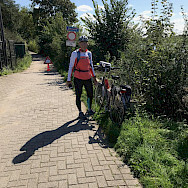 As you cycle present-day Holland, imagine this lovely landscape transformed by war, invasion, occupation, starvation, and finally liberation. Martin Wigtman, teacher and engineer by trade, and now a WW II history buff by choice, will be your guide. Born in 1949 in Soest, on a farm west of the Grebbe Line, Martin's father was active in the war, but like so many of that generation, did not speak about it. Martin has researched his father's involvement and others and delved into the history of the region through archives and archaeology. 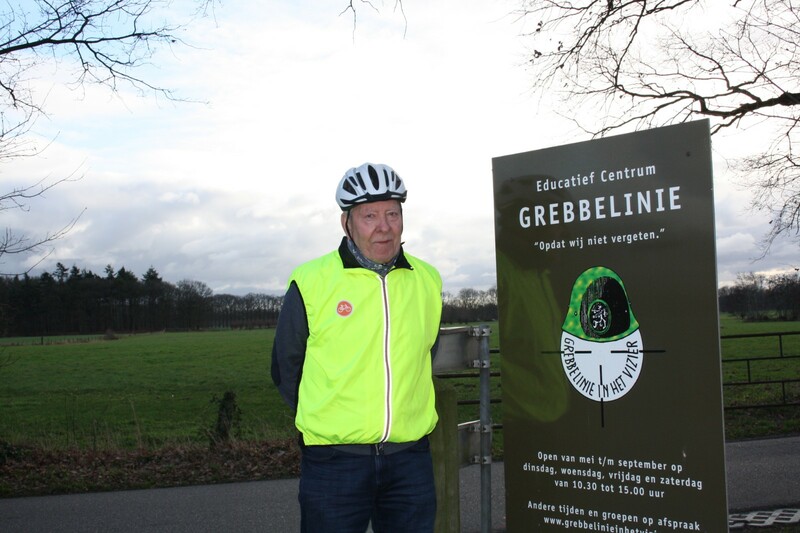 He now lives in the town of Scherpenzeel, the most war-torn town in the Netherlands, and regularly gives lectures, guides tours, and volunteers at a local museum that he helped establish. 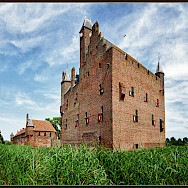 If World War history is not your thing, see a complete list of our bike tours in the Netherlands. We offer something for everyone. 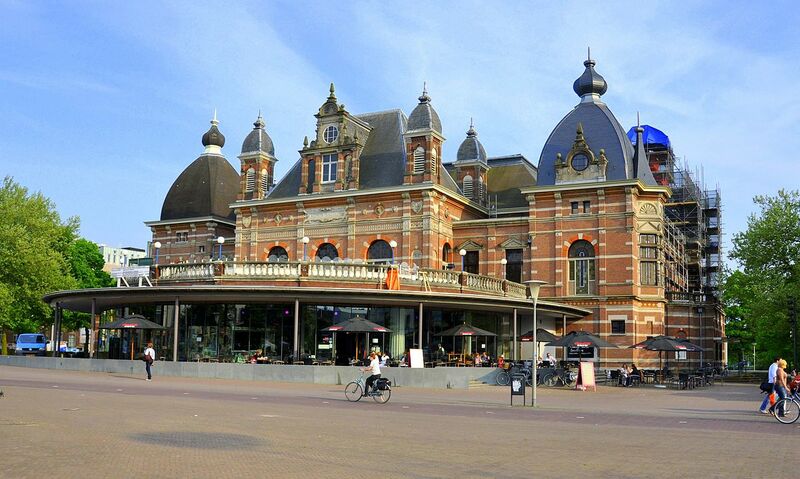 From the airport, you can take an intercity train in the direction of Nymegen. Exit train at Station Driebergen-Zeist. Travel time approx. 47 minutes. 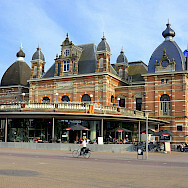 From this station, you walk 3 minutes to the bus station and take local bus 50 from platform F in direction of Wageningen. Travel time is approx. 27 minutes. Exit bus at Amerongse Berg in Amerongen. The hotel is a two-minute walk from the bus station. The total cost of the train plus bus is approx. €14. 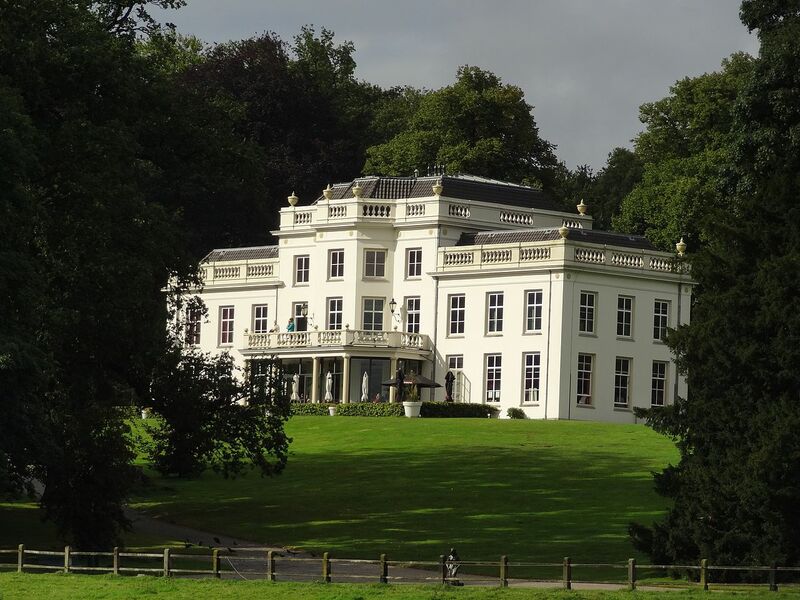 At the end of your tour, you will take a bus from Otterlo to Ede-Wageningen from where you can then take a train to the airport. Best time of year to enjoy this tour is spring, summer, or fall. 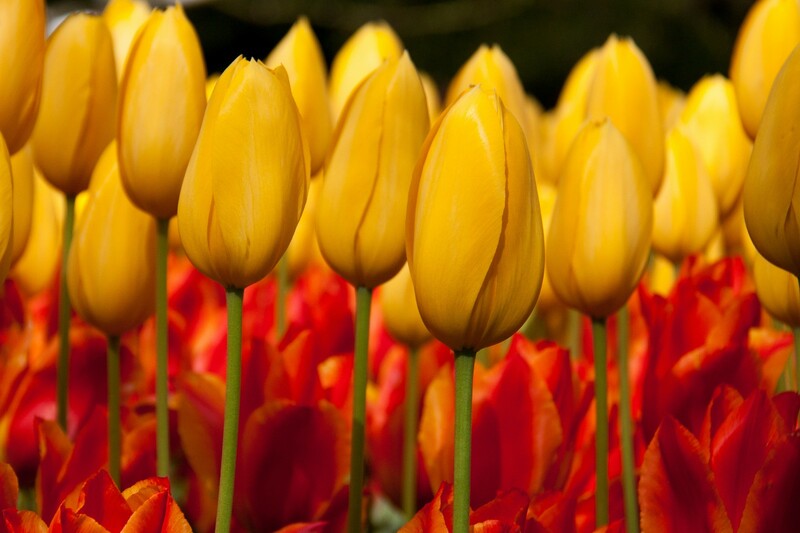 The Netherlands has a temperate maritime climate influenced by the North Sea and Atlantic Ocean, with cool summers and moderate winters. Always check local conditions before you travel. This is an easy 9 day partially guided tour. 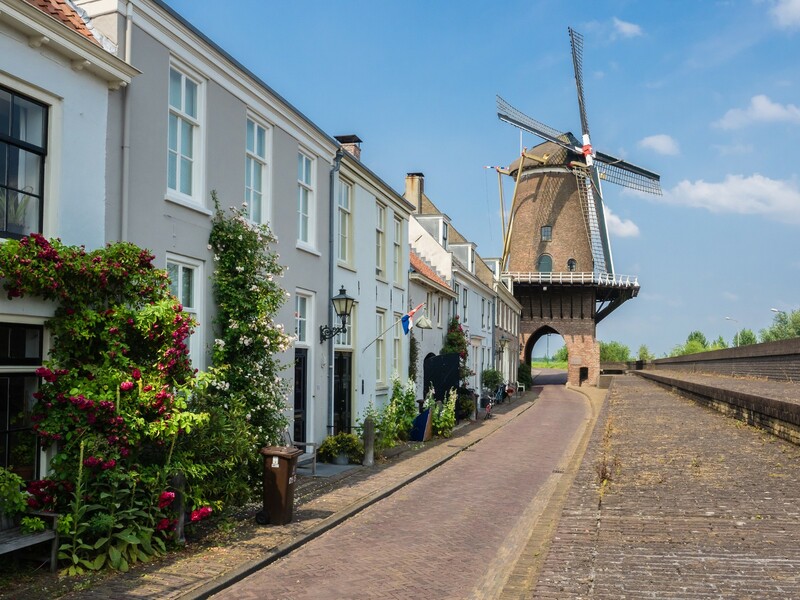 Throughout this beautiful, relatively undiscovered part of Holland, you will cycle on the infamous and well maintained Dutch cycling network and quiet country roads. Entering and exiting any town is either done so on separate bike lanes or well-marked lanes. You will be based in two towns on this tour. 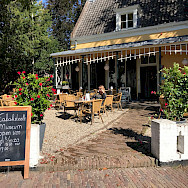 First, you will be accommodated for 4 nights in the Napoleon Schuur, next to the entrance of the National Park Utrechtse Heuvelrug in Amerongen. On Day 5, you will be transferred to Otterlo, where you will have your choice of accommodations. You can choose the 3 star Grand Cafe Hotel Krüller or the 4-star Hotel De Sterrenberg. Arrivals possible on any day based on availability of hotel rooms and our guide. 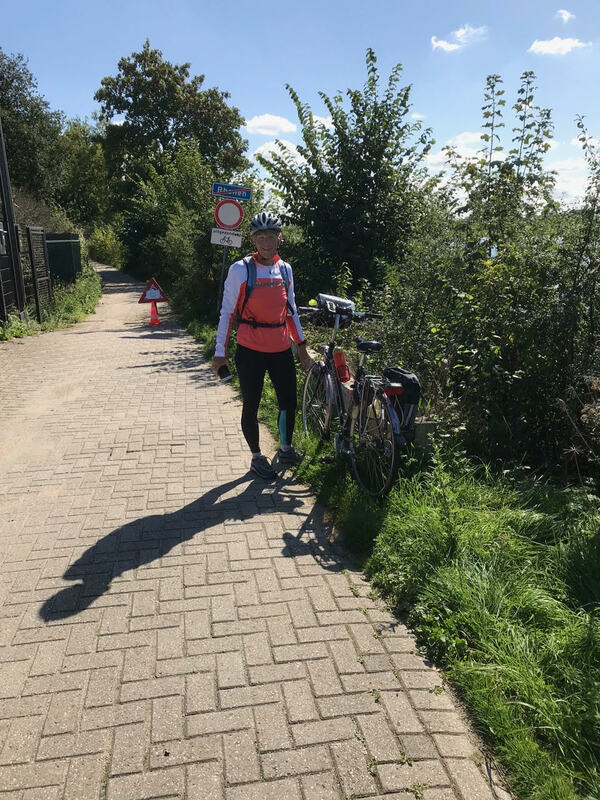 Best time to cycle in Holland is Mid April to Mid October. Day 5: Transfer to Otterlo. Check in to Hotel. 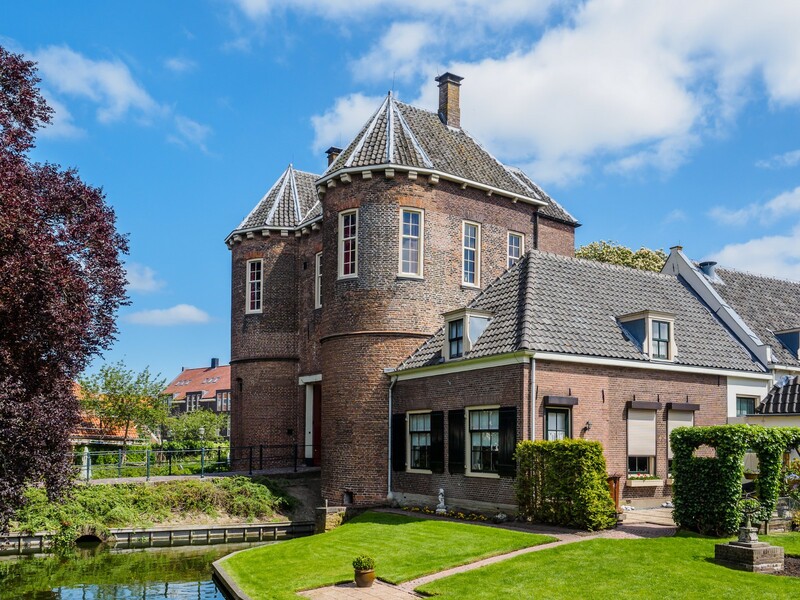 Arrival and settle into your accommodations at the Napoleon Schuur, located in the historic center of Amerongen. 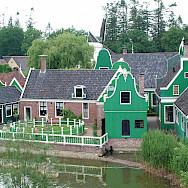 Plan on strolling this quaint village and visiting the Amerongen castle here. Hours are 11 - 5. 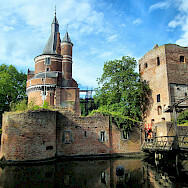 If you cannot visit the castle on this day, you will have another opportunity on Day 5, before your transfer to Otterlo. 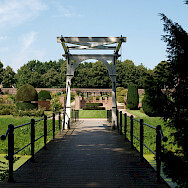 This route mainly covers an area where heavy battles were fought at the beginning of WWII. 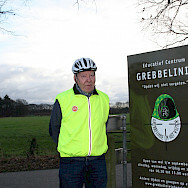 You will cycle along the Grebbe Line, first established in 1745 as a line of defense against invading armies. The Grebbeline had been largely constructed behind vast inundations, after which a front line lay that was composed of classic trench works. 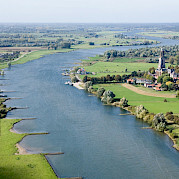 If an invasion was imminent, parts of the area between Spakenburg and the Grebbeberg were to be flooded, providing a natural barrier between the attackers and the Dutch defense. In 1936, as rumors of the German war machine spread, plans were made to update and reinforce the Grebbe Line. History tells the story. 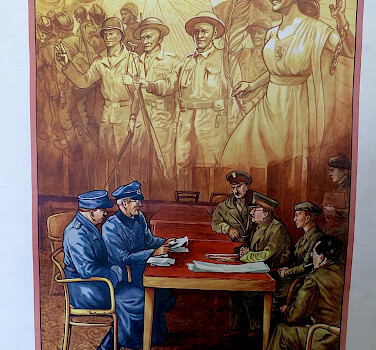 When the Germans invaded, the reinforcements had not been completed and it was simply too vulnerable to modern artillery and bombs to withstand a protracted siege. When the Grebbe line failed the soldiers retreated to the New Dutch Water Line, another line of water defense. Hitler thought that Holland would fall in a day, but the struggle lasted five. 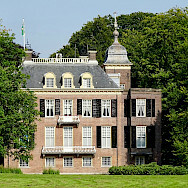 Holland was forced into surrender by the aerial bombing of Rotterdam, and the threat of the same for Utrecht and Amsterdam. 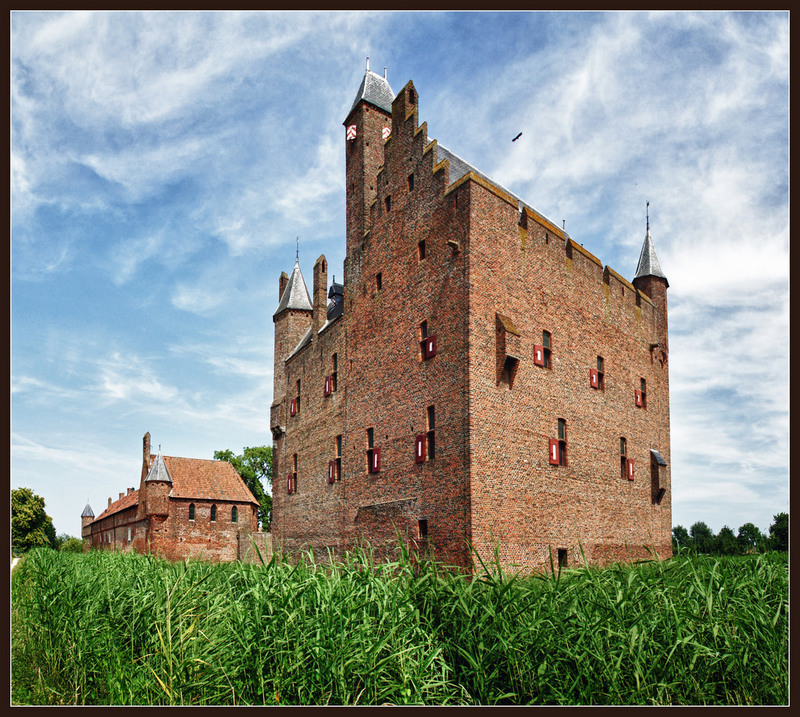 As your journey into history progresses, you continue to enjoy present-day Holland! 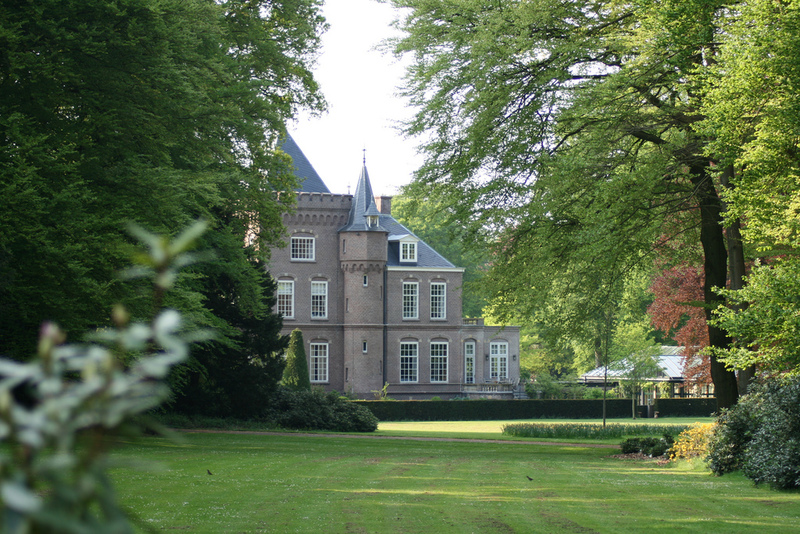 Amerongen, where you will be based for the first part of your tour is a little paradise of tranquility, tucked away in a pristine national reserve. 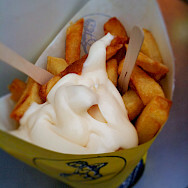 You will be cycling along a wonderful cycling network, through small cities, towns, and bergs. 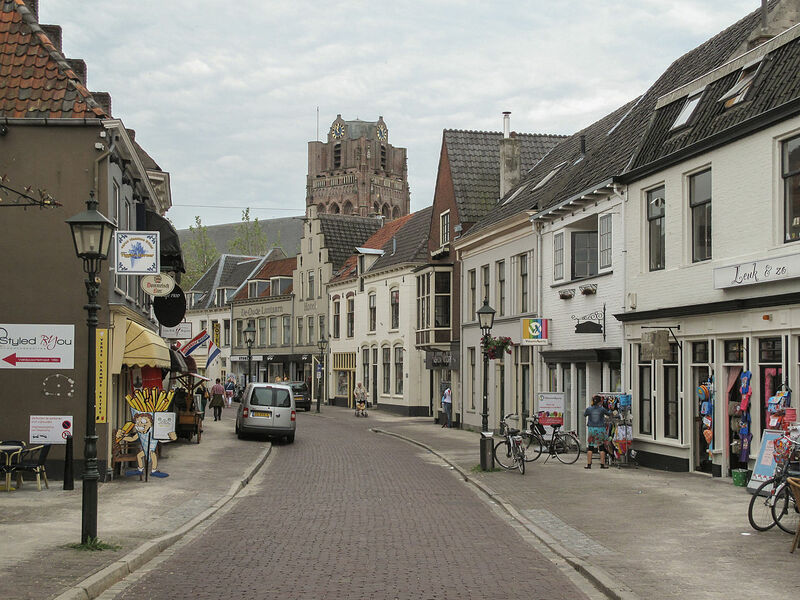 There are cyclists everywhere, the Dutch, living their lives, going to school, tending their gardens, shopping, having a coffee in the square. It is a very peaceful and safe environment. 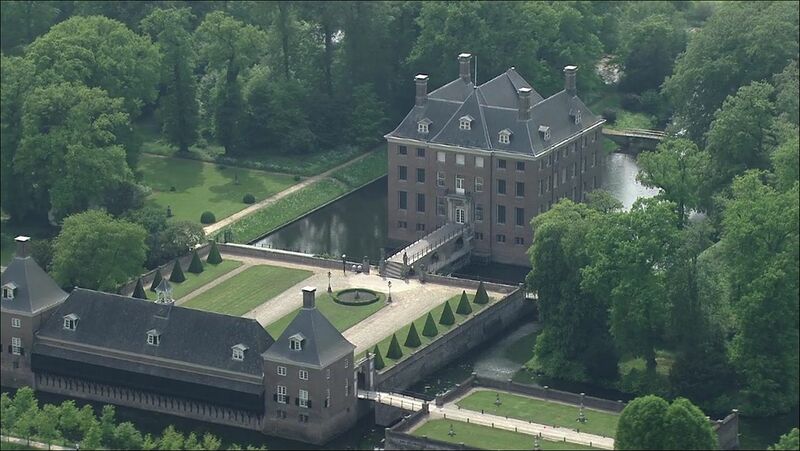 This is the other Holland, apart from Amsterdam. Now go back in time. 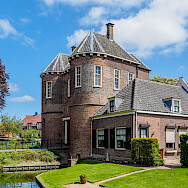 The government of Holland estimated that the Grebbe Line would be completed in November 1940 and in May of 1940 the bomb-proof pumping station at the Grebbeberg, necessary for the control of local flooding, had not been completed. 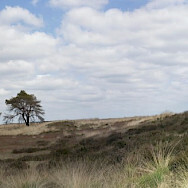 The Grebbeberg was a vulnerable spot in the Grebbe Line. 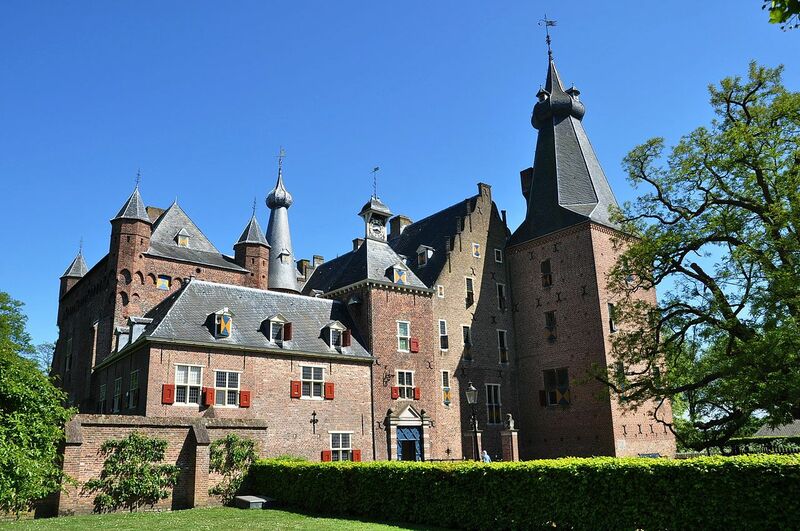 Today as you continue to cycle and learn, you will visit Rhenen, strategically important because it is located near the Grebbe Line and the Grebbeberg. In May of 1940 when the German troops broke through, the entire town was evacuated. Upon returning to their town, the citizens found that many of their homes were destroyed or heavily damaged. The Cunera Church and its tower remained largely untouched. 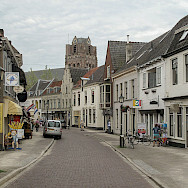 In 1945, the town was damaged again during the liberation of the country from German occupation. 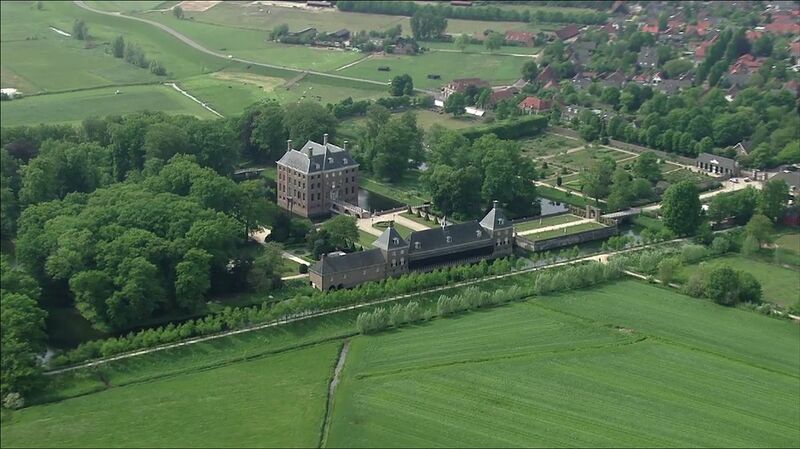 Many or all of the Dutch soldiers who were killed by the Germans near Rhenen lie buried in the Cemetery of Honor. 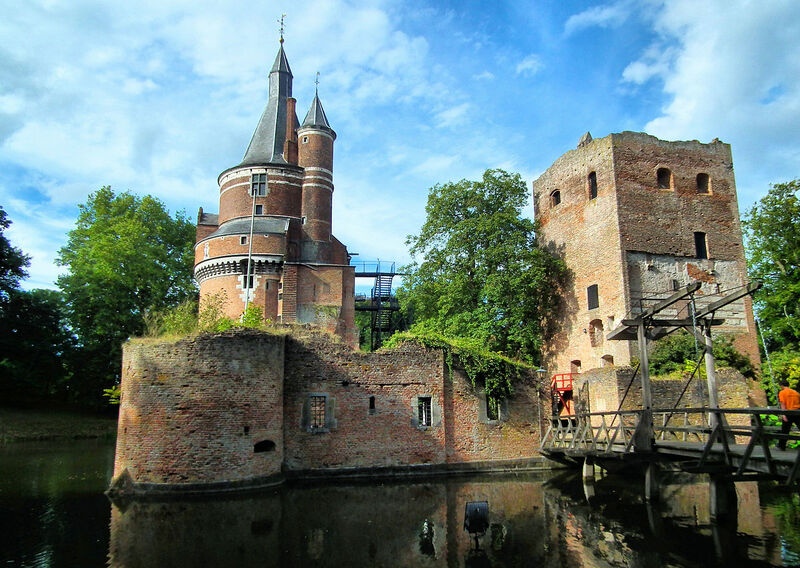 Wageningen will be another highlight in your journey through history. Today the city is known for its world-renowned agricultural university and is part of the "food valley", one of the largest food communities in the world, consisting of more than 1,510 international food companies and 20 research institutes. 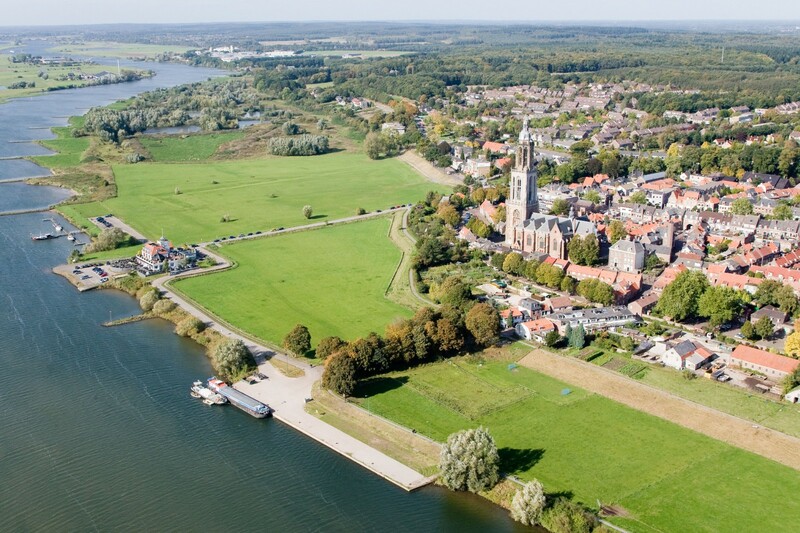 Wageningen University and Research (WUR) has been named the best global university for agricultural sciences according to U.S. News & World Report, 2016. The people, city, and institutions of Wageningen suffered greatly during World War II. 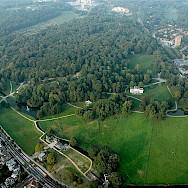 In 1944, a pocket of Dutch Resistance was found here and arrested. Many of the accused were sent to death camps. Among those arrested were the twin sisters Eltien and Neeltje Krijthe, engineers at agricultural college. In 1942 until they were discovered in 1944, they housed two Jewish refugees, a brother, and a sister. Eltien died at Ravensbrück in 1945. 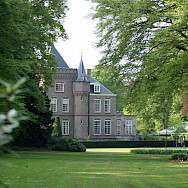 Neeltje managed to survive seven successive camps. 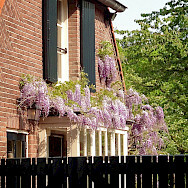 The majority of this route leads through the Betuwe, a region of historical, geographical, and agricultural importance. 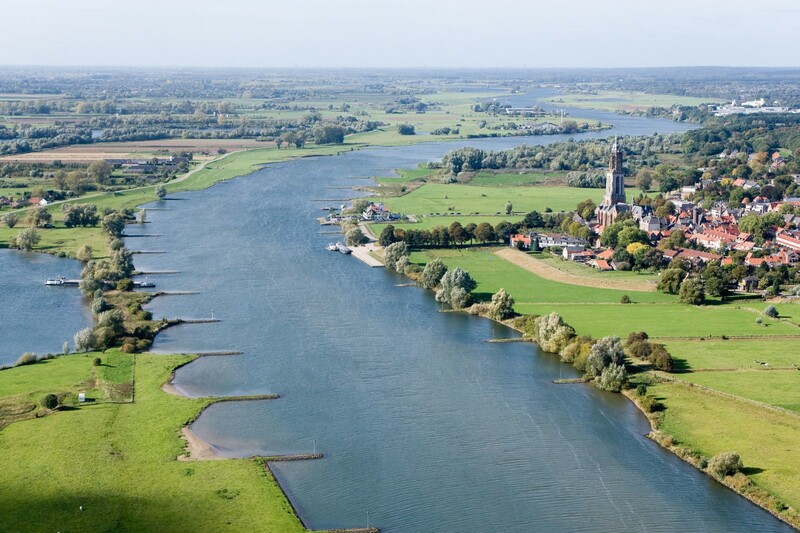 It is a very fertile region, located in the delta formed by the waters of the Rhine and Waal Rivers. 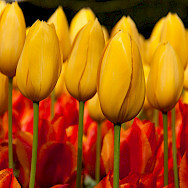 It is known for its fruit orchards and rich soil. 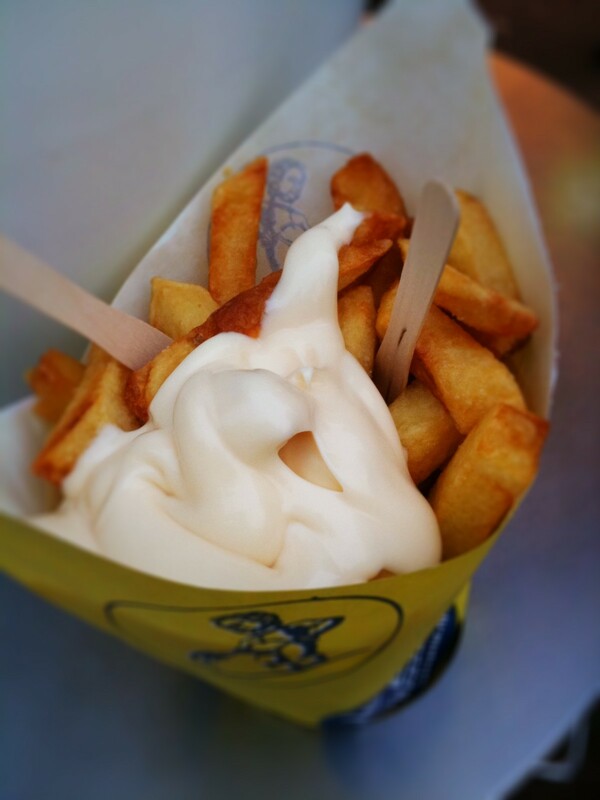 This food valley is one of the best examples of Dutch agri-food collaboration. In 1944, it became the boundary between Allied and German territory. 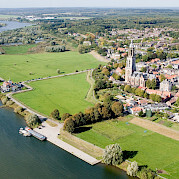 It became known as "Men's Island" or "Manneneiland" due to the evacuation of all the women and children after the failure of Operation Market Garden, leaving only the men behind. 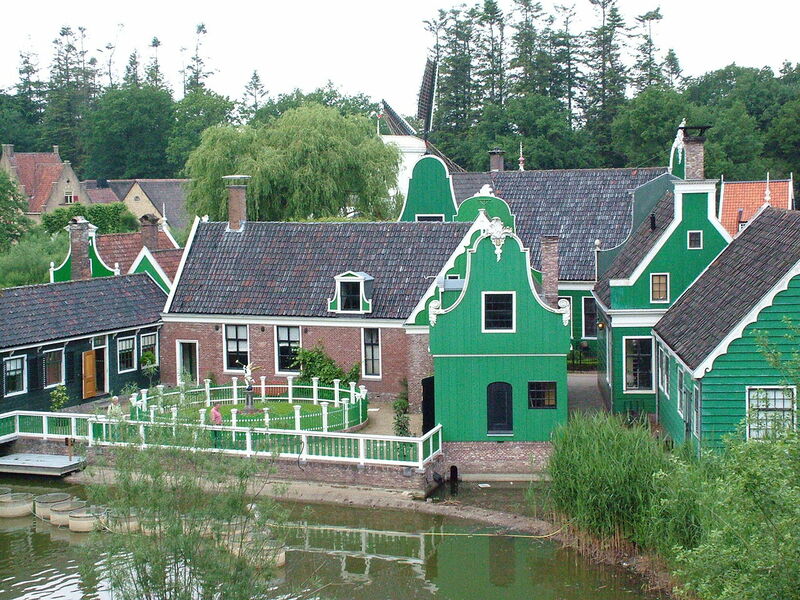 The Betuwe would be liberated in April 1945, just weeks before the German surrender. What was left behind was a flooded land, damaged or destroyed homes, and loved ones lost. 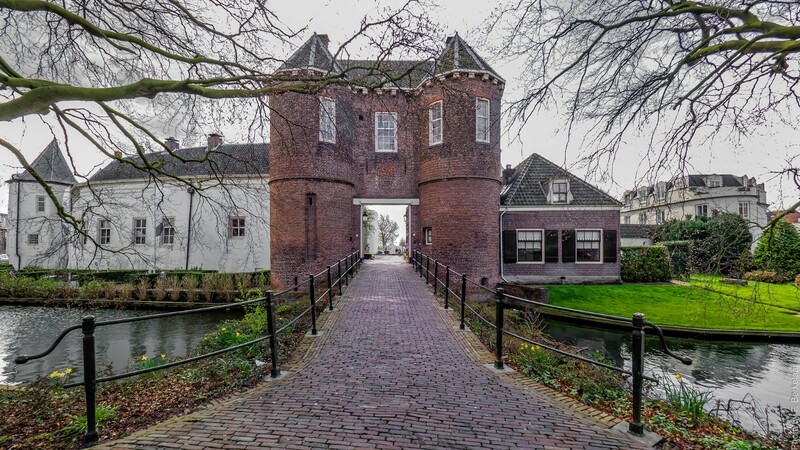 The town of Otterlo is ideally located to continue your historical journey. 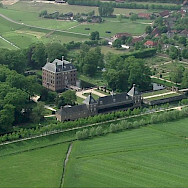 The Battle of Otterlo was the last big battle to take place in the Netherlands. 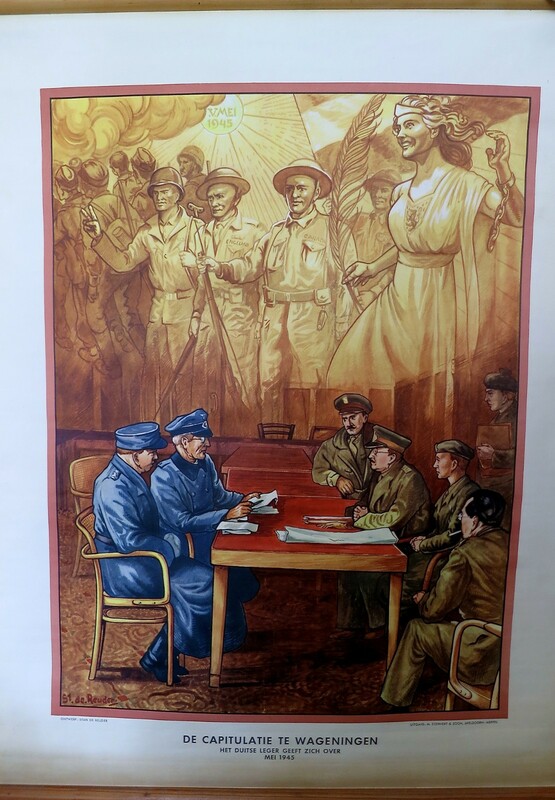 In April of 1945, the town found themselves caught between the Canadians advancing to the west on one side, and the Germans trying to get their remaining troops to safety behind the Grebbe line. The Germans managed to push into the town and surroundings and dig themselves in. The situation escalated into a major fight. Canadian tanks were called for assistance. When the battle was over, 300 Germans had died, along with 12 Canadians, and 4 civilians but Otterlo was liberated. 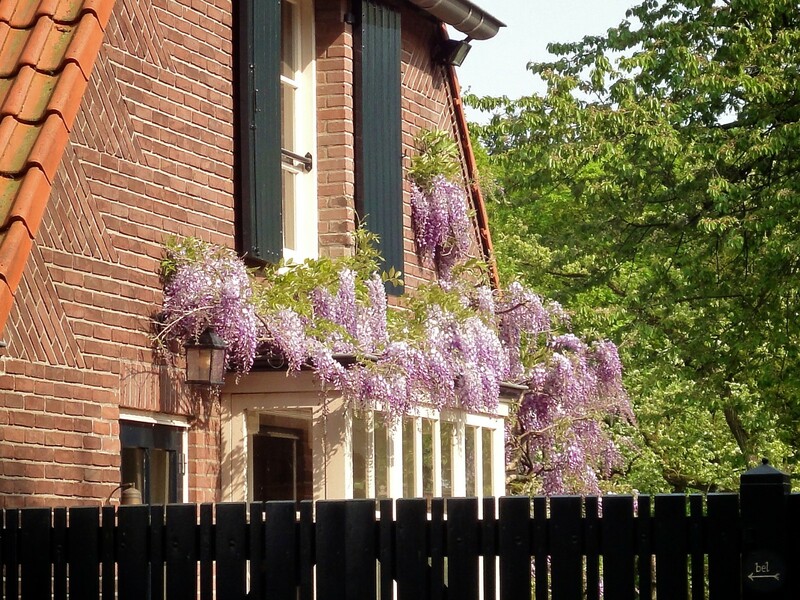 Today, it is a quaint and peaceful town, located near the entrance to the beautiful Nationaal Park De Hoge Veluwe. Today's route leads through a beautiful nature reserve on excellent cycle paths. 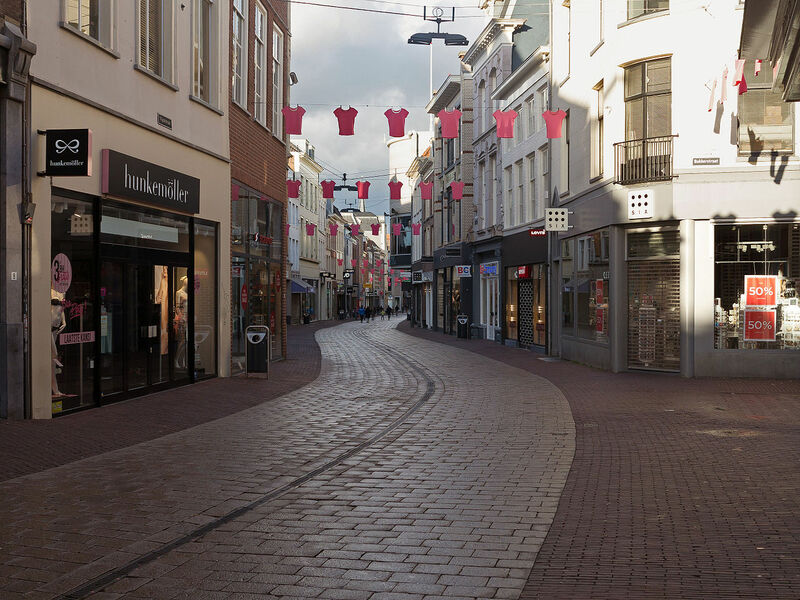 The route runs for the most part through the area of Operation Market Garden. Operation Market Garden was one of the biggest Allied operations in WWII and occurred in September 1944. 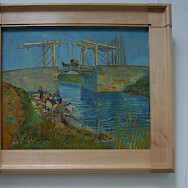 The operation aimed to conquer the bridges across the Meuse, Waal, and Rhine Rivers in Holland. This would allow Allied troops to avoid the Siegfried line, a defense line running from Switzerland to Kleve. It was hoped that a quick advance to the Ruhr area and Berlin would put an end to the war around Christmas. 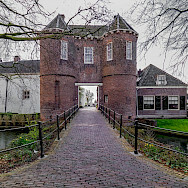 The bridges in Eindhoven and Nijmegen were captured intact but the Allied forces failed to conquer the last bridge near Arnhem: it was a 'bridge too far.' 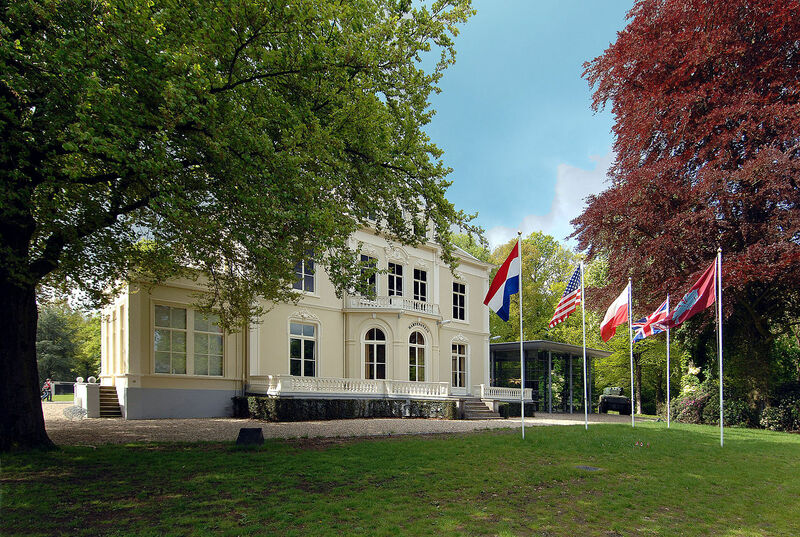 The route passes the Airborne War Cemetery and the Airborne Museum Hartenstein. As you bike, you will come across memorials in various places. 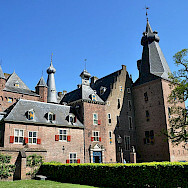 You may consider a visit to Castle Doorwerth which was in the line of fire and seriously damaged in 1944. Today it is a hunting museum. 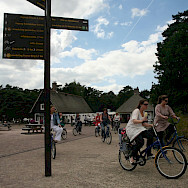 Leaving Otterlo, you will cycle along beautiful moors and forests, on excellent bike paths. You may encounter sheep, cattle, deer, and perhaps, a wild boar. 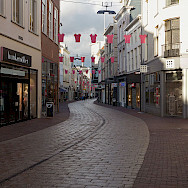 The city of Arnhem was badly hit during WWII. In 1944, there was bitter fighting between the Allies and the German troops. The goal of the Allies to conquer the bridge over the Rhine failed miserably at a great loss of lives. You will pedal over this hard-fought bridge. The Airborne Museum at the Bridge is worth a visit. Though small, it is very informative, providing information about Arnhem, the bridge, the battles, and the people. 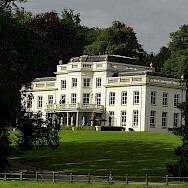 As well, Arnhem War Museum is on the route. 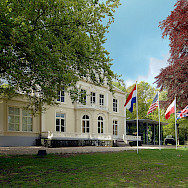 The museum is a private museum, dedicated to keeping alive the memory of this important episode in history and to preserve a unique collection for posterity. A huge German bunker, a Luftwaffe Commando Center, is also on the route. 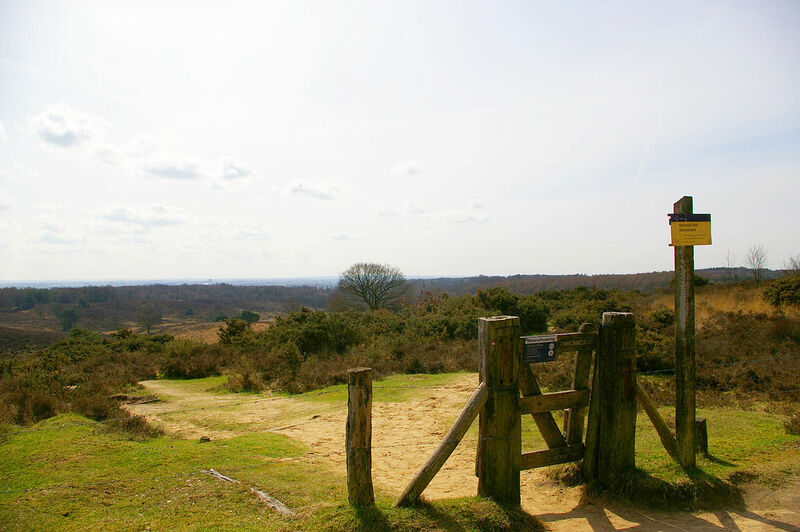 Today, you can enjoy a day on your own, without a guide, experiencing the Hoge Veluwe National Park (Nationaal Park De Hoge Veluwe). 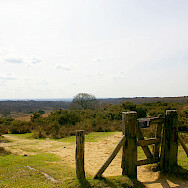 The park occupies an area of 13,750 acres, is the largest continuous nature reserve in the country, and is notable for its diversity of scenery, from dense forests to high sand dunes. It is home to an abundance of wildlife, including deer, wild boar, and mouflon. It's also an important sanctuary for birds and has long been a popular destination for bird watchers. 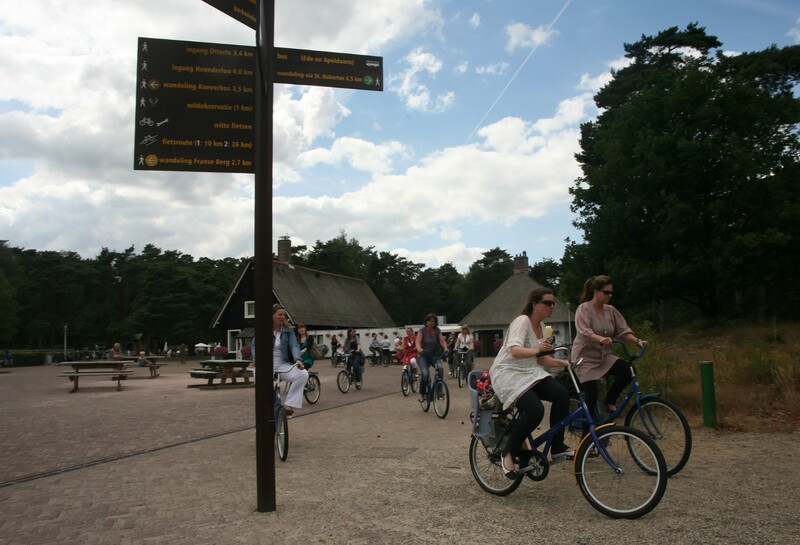 As with so much of the Netherlands, Hoge Veluwe National Park is predominantly flat, making touring by bike one of the best ways to enjoy its magnificent scenery. 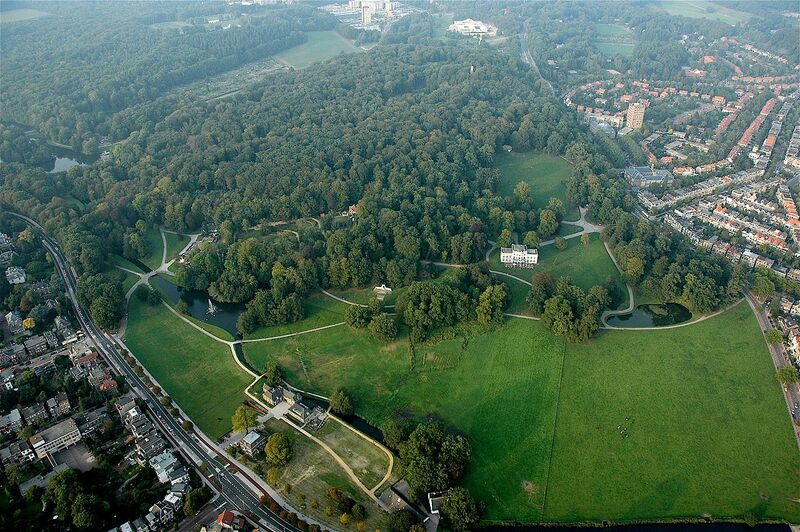 This park was originally owned by the Kröller-Müller family and a stop at their main residence, St. Hubertus, a magnificent mansion, completed in 1923, will be noteworthy. 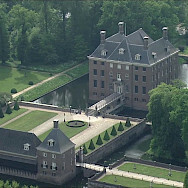 A visit within is only possible with guided tours. 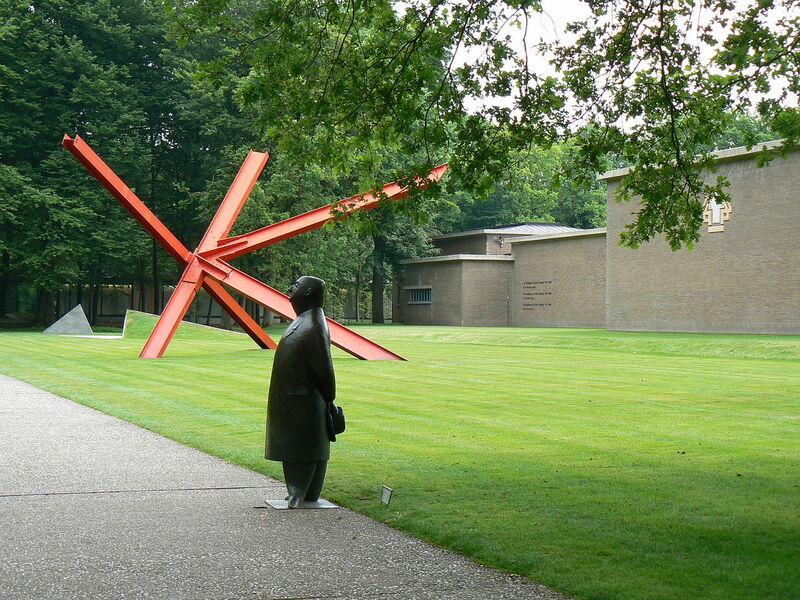 However, the other highlight of this park is the Kröller-Müller Museum and Sculpture Garden, which houses an amazing collection of paintings, drawings, and sculptures. 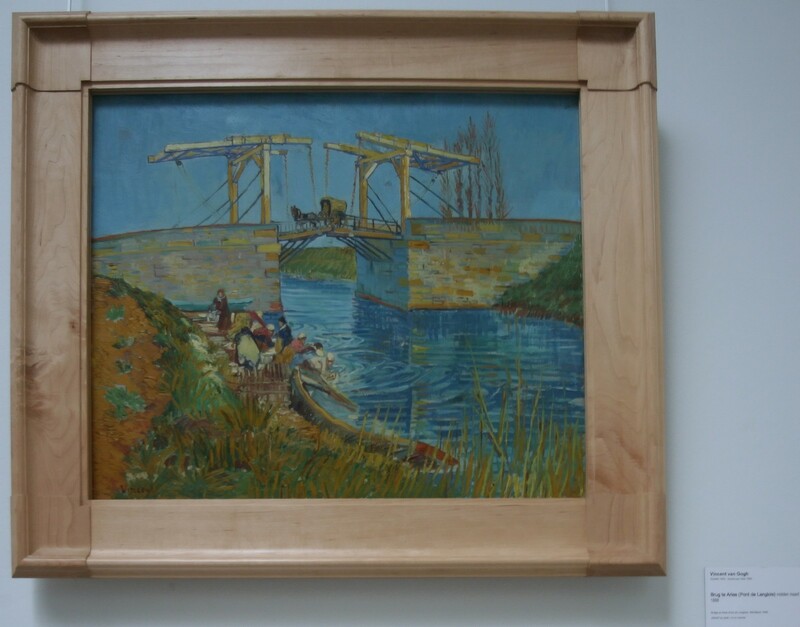 There are 280 paintings and drawings by Vincent Van Gogh alone. 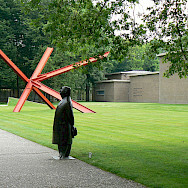 To enter the park, you must pay an entrance fee and it is highly recommended to include a visit to the museum. It is a must see! 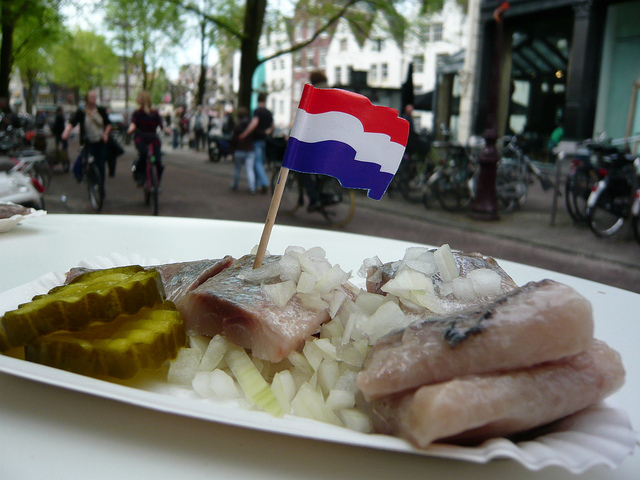 Looking for a tour other than Holland? 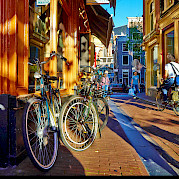 View all our featured bicycle tours, specials, and news or look at our full list of bike tours in Europe.